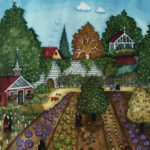 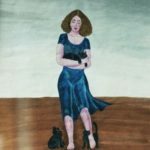 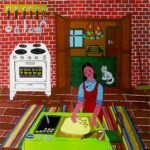 Her love of painting came by means of her mother. 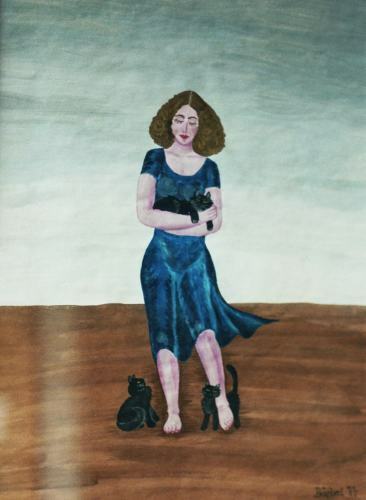 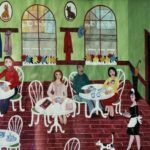 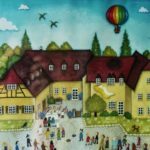 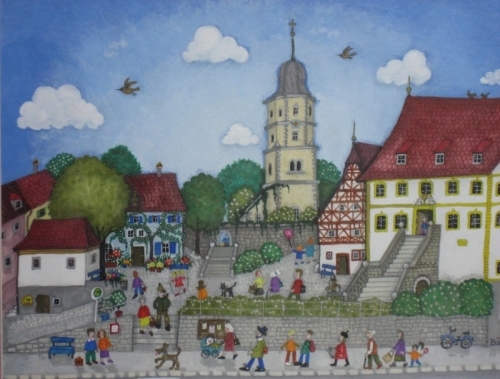 Even as a child, Bärbel Taylor, who was born in Wuerzburg-Heidingsfeld in 1956, didn’t want to do anything else besides paint. 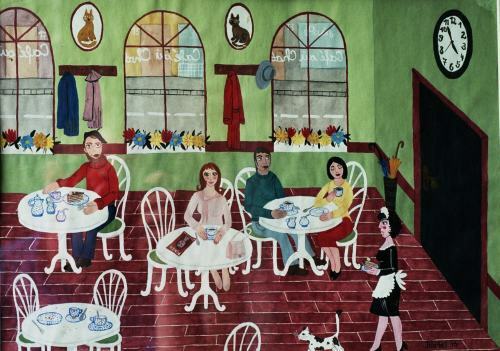 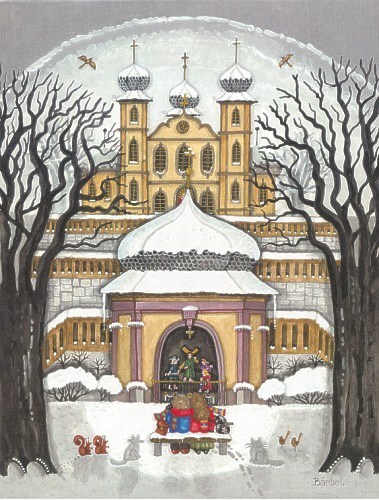 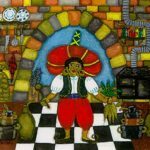 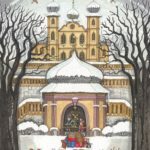 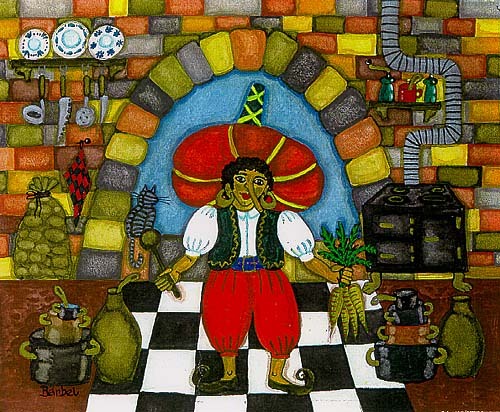 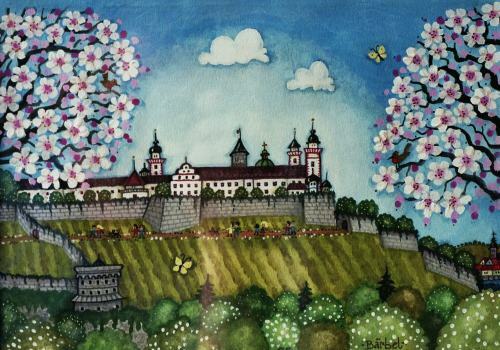 The enthusiasm she had for artists from Jugoslavia led her to naive painting. Encouraged by her mother, Ms. Lore Wanders, who was a student of Mr. Heiner Dikreiters (founder of the City Gallery of Wuerzburg / Städtische Galerie Würzburg), and by Mr. Dr. Hannswernfried Muth (the gallery’s former director), who early on arranged an exhibition for her there, she began developing her own style. 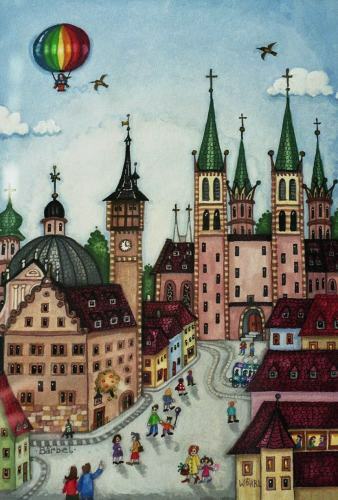 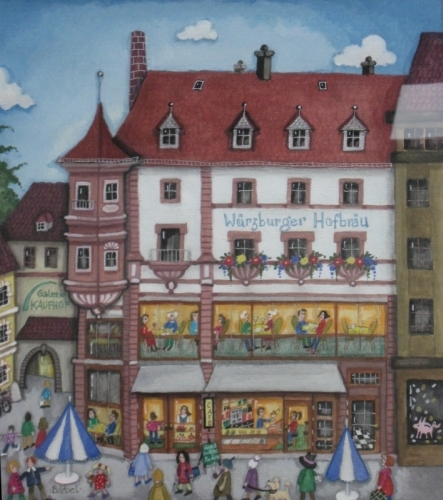 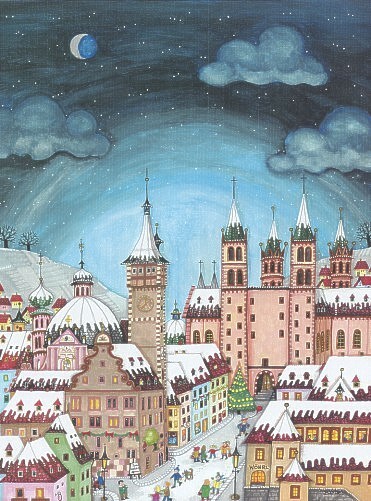 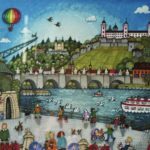 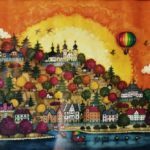 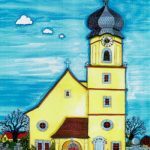 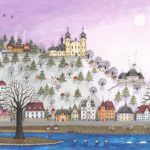 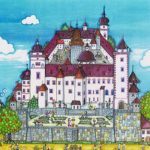 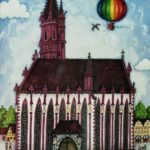 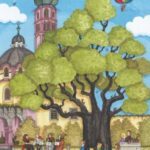 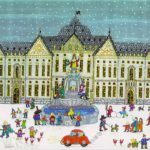 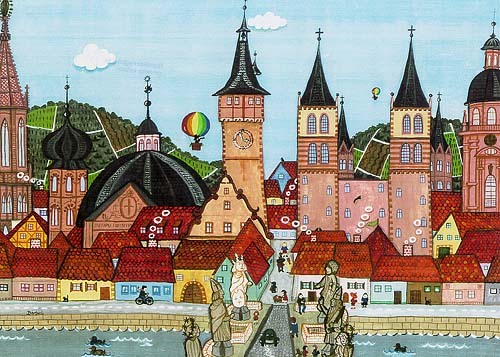 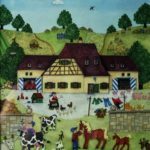 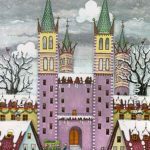 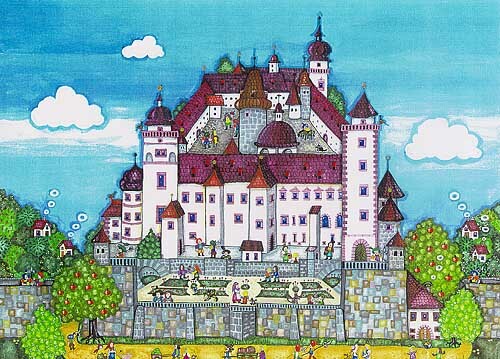 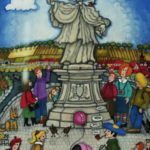 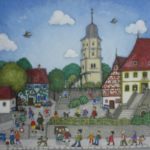 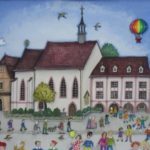 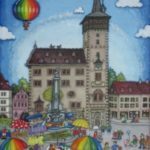 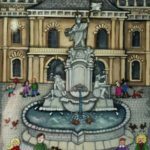 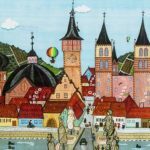 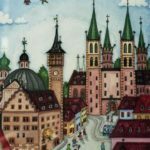 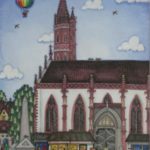 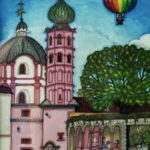 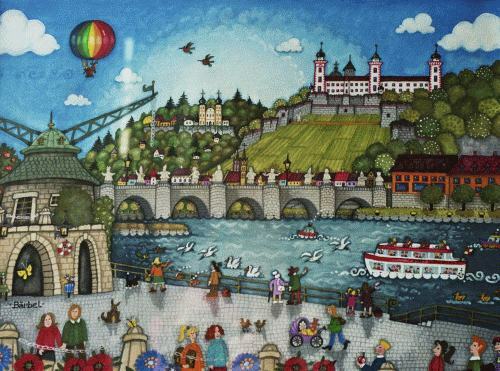 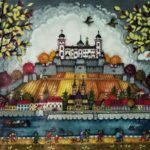 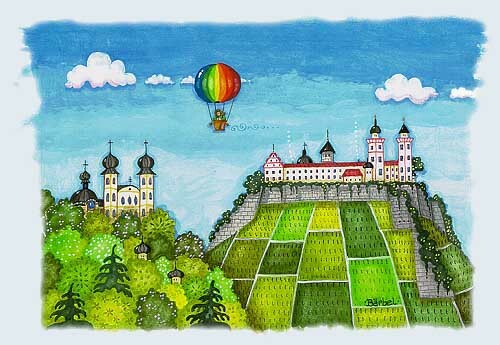 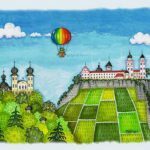 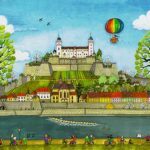 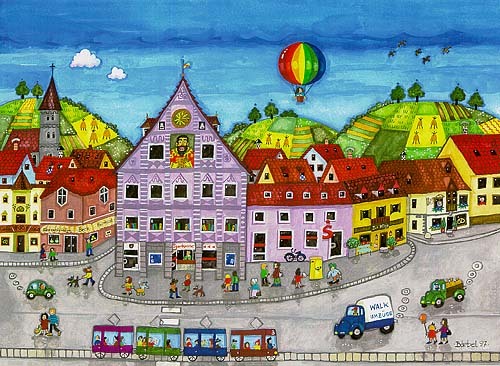 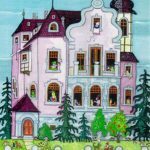 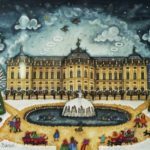 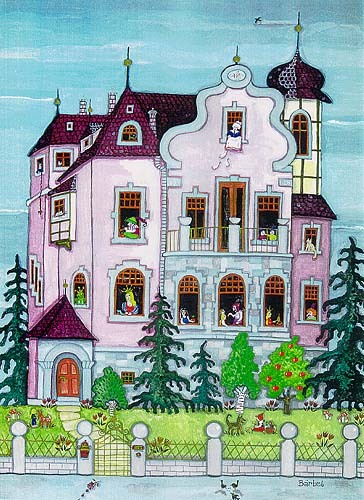 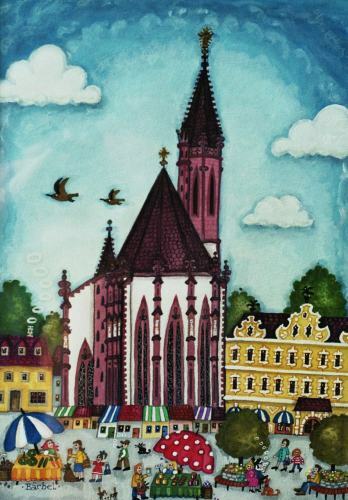 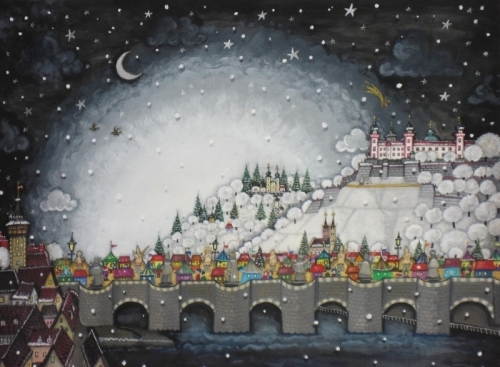 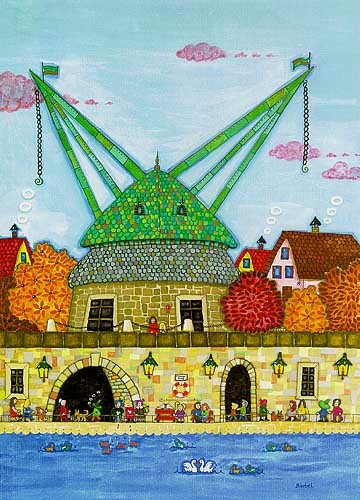 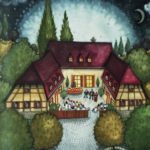 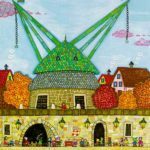 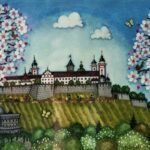 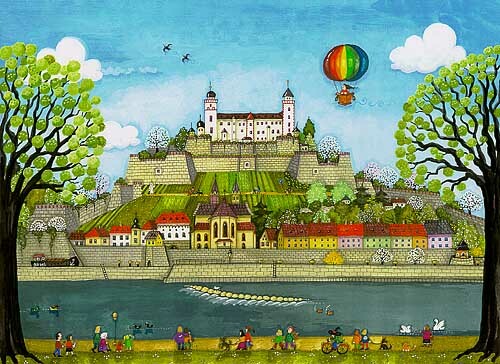 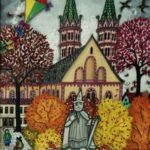 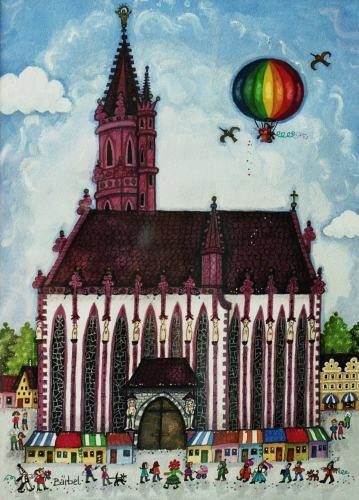 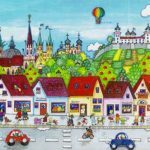 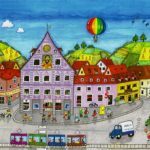 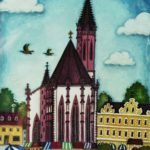 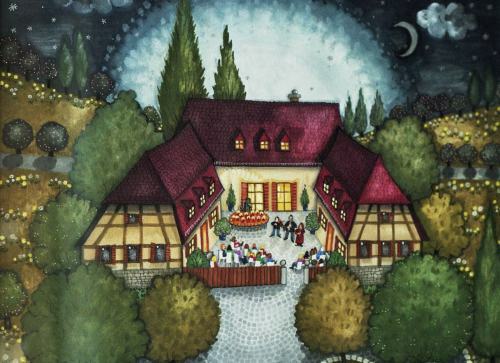 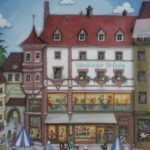 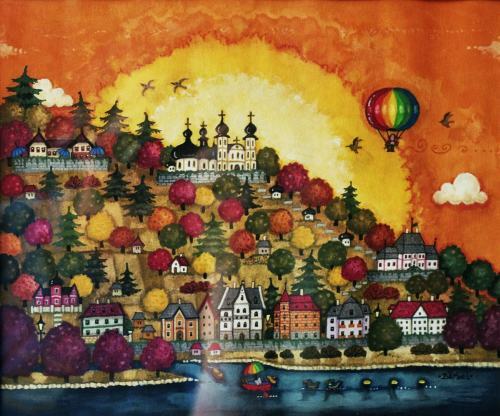 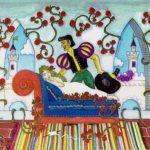 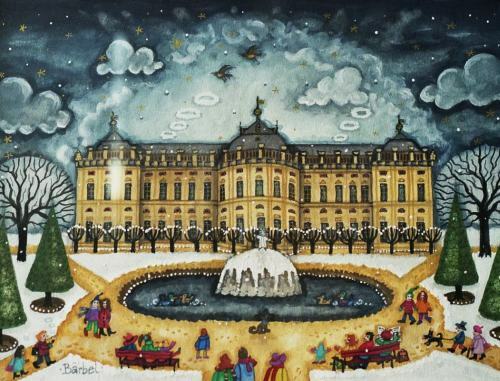 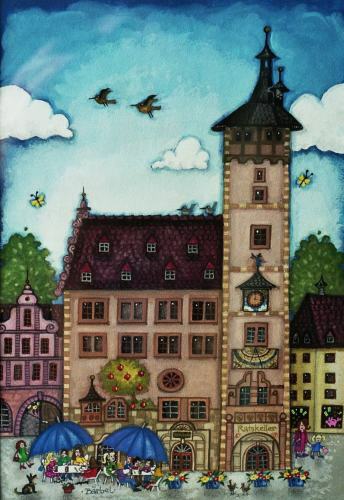 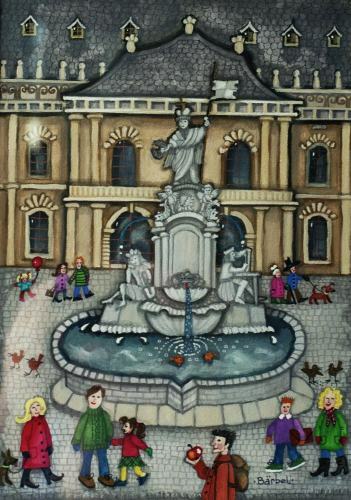 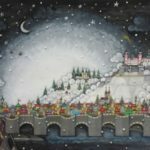 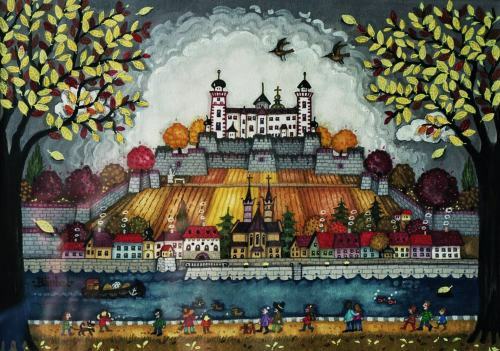 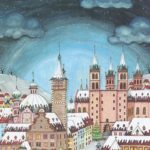 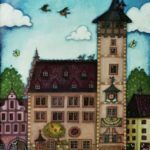 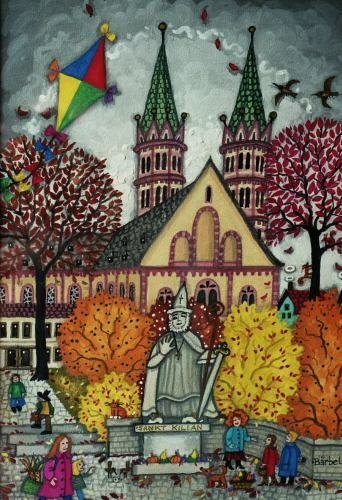 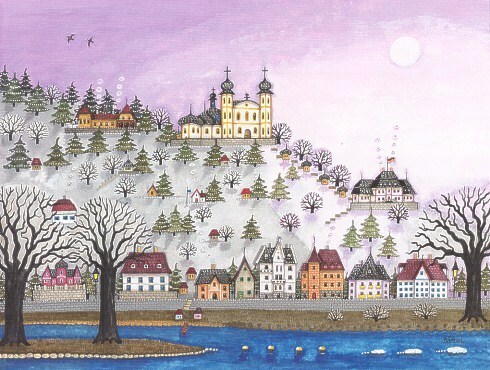 Her love for even the smallest detail shows in numerous paintings of her home town Wuerzburg, in fairytale illustrations and fantasy motives. 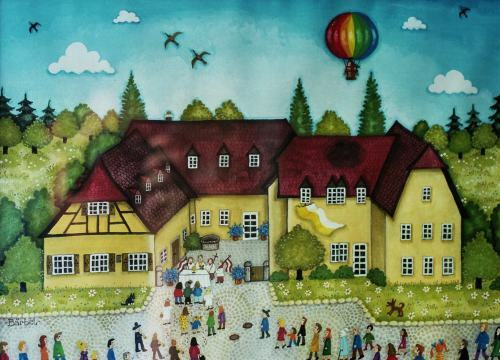 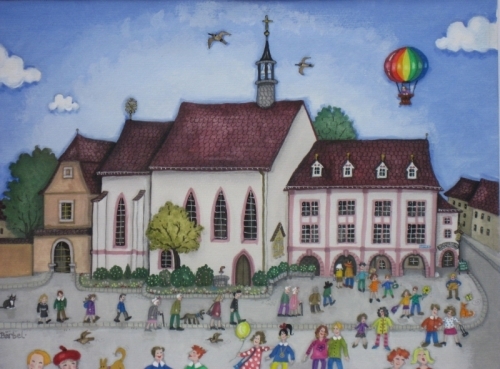 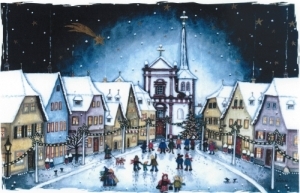 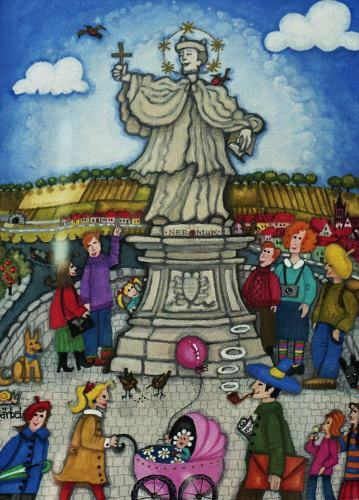 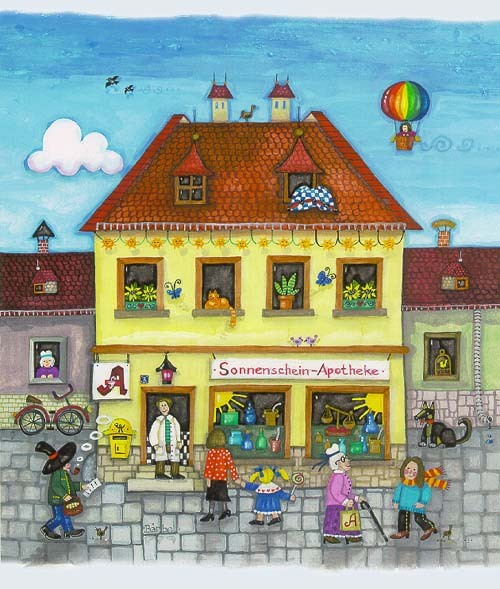 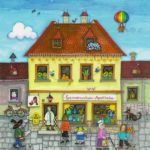 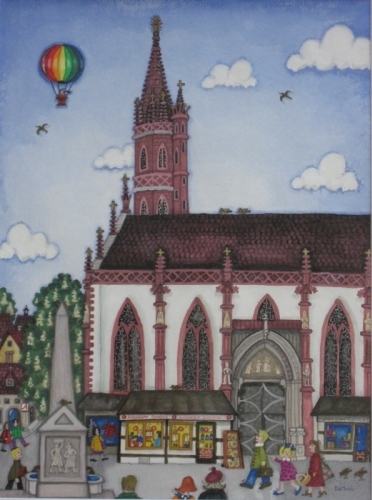 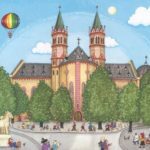 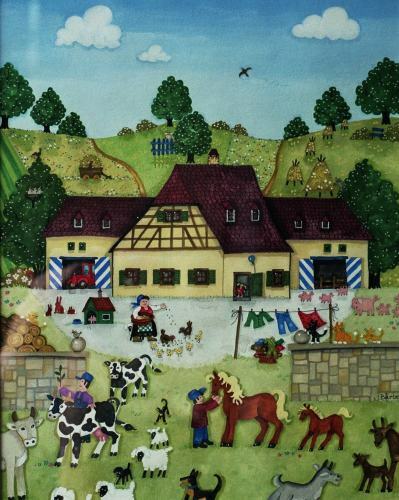 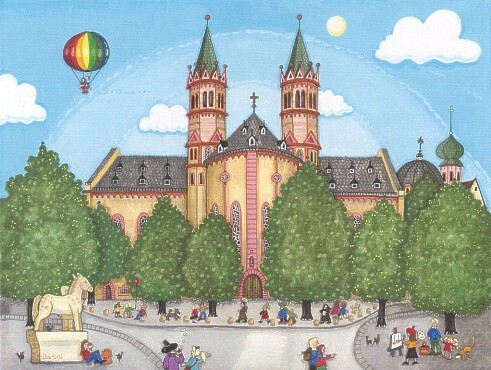 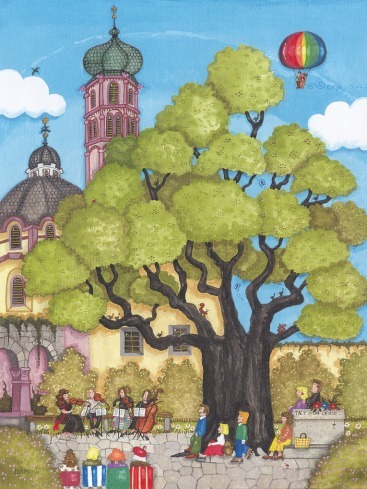 She illustrated in her book „Liebes Würzburg” her mother’s childhood memories and in the poetry collection from Ms. Corneial Boese, “Von Räubern, Feen und goßen Geistern” Three illustrations were published in editions of the magazine “Brigitte”. 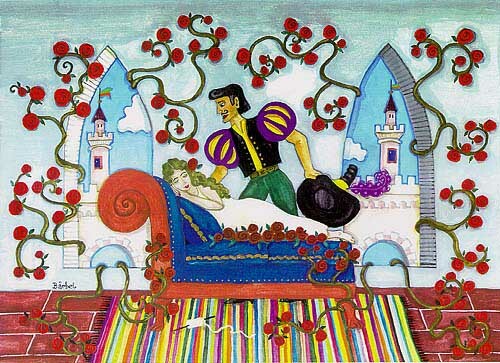 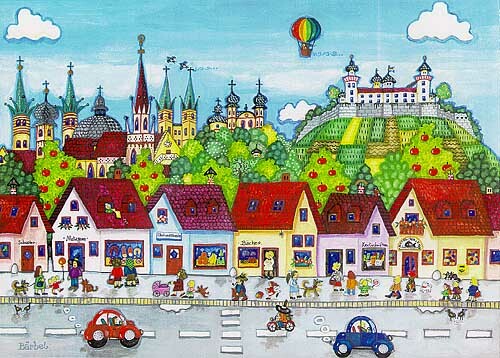 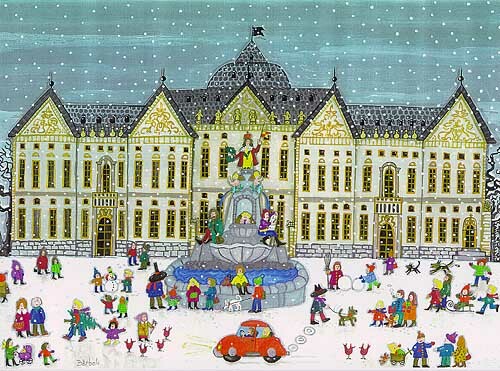 Her illustrations have found many interested people even in America, Japan and neighboring European Countries. 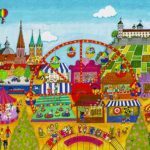 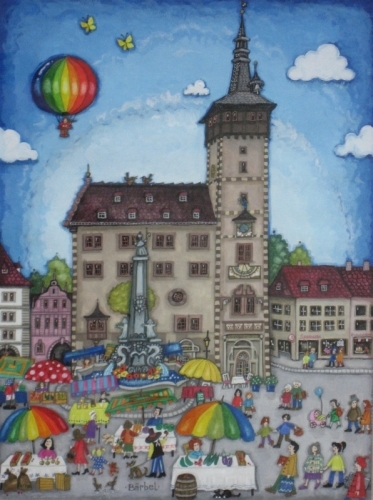 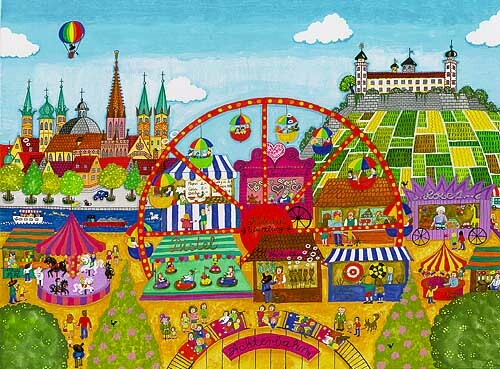 Baerbel Taylor designed posters for the sales fair for the Wuerzburg Market Square and displayed her work to include but limited to USA (California and Texas). 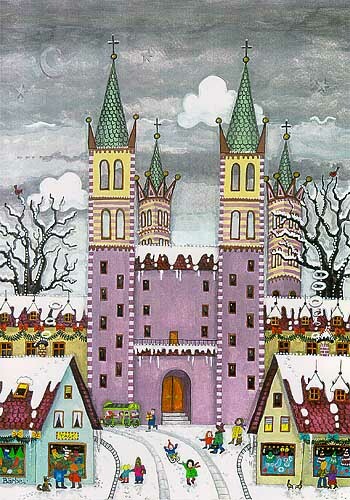 Gabriele Hammer, born 1951 in Wallduern, studied primary education at the Bavarian Julius- Maximilian-University Wuerzburg. 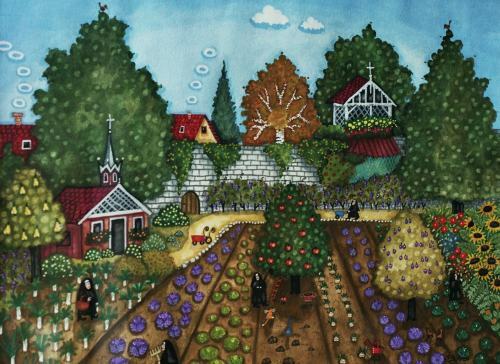 In 1974 she started school service and taught until 1998 at different elementary schools. 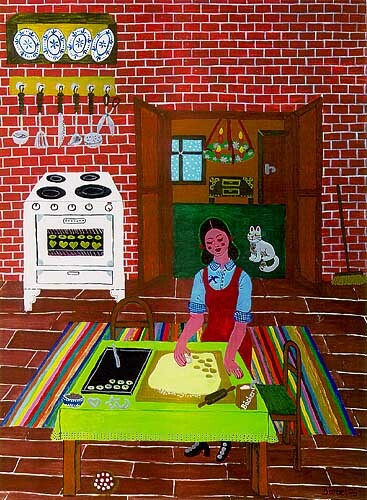 In 1994 she became a vice principal. 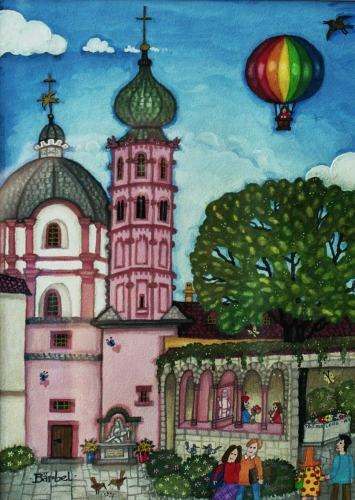 Visiting many countries of this world inspired her to write. 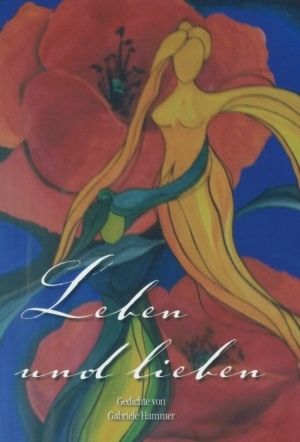 So the photos that illustrate this book of poems emerged. 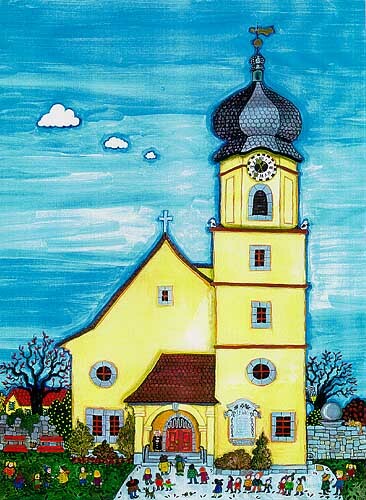 Upon request cards with many further subjects are available.